Looking for a top-notch software, to make that impressive slideshow presentation? The Movavi Slideshow Maker may just be what you need. Movavi Slide Show Maker is a modern slide show maker software that offers a lot of features, features that make your slideshows unique and exciting. The Movavi Slide Maker features tools that let users polish photos. It also comes with number video editing tools, allowing users to create and edit video recordings. Still, on the features of the Movavi Slideshow Maker, This software also features a voice recording tool, that lets you sync voice recordings with slides. Speaking of essentials, the Movavi Slideshow Maker features about 105 transaction effects, 165 chic photo filters and lots more. ProShow Gold is a slideshow maker software that provides a minimalist interface to create a slideshow presentation; all tools are within reach, you don’t have to search much. When compared to Movavi, ProShow Gold has fewer features. ProGold Show excellent for people who are not into flashy SlideShow Presentations. The ProGold Show slideshow maker software features about 30 transition effects to choose from, It features backgrounds, filters, and themes, that can be used to make your slideshow presentation more fun. Are you planning to present a top-notch slide show for that conference, or school project? PhotoSage software may be all you need. It features all the essentials required in preparing an educative and exciting slideshow presentation. It features numerous transition effects, themes, background and lots more. It lets you add sync voice recordings with slides, enables you to add video clips to your slideshow presentation and lots more. PhotoStory Deluxe can be regarded as the pro version of the PhotoStory Easy slideshow make mentioned above. This software is considered to be deluxe because it has more features when compared to the PhotStory easy software. Just like the Slideshow maker software already mentioned in this article, PhotoStory Deluxe is equipped with the necessary tools needed to make awesome slides. PhotoStory Deluxe features over 300 transition effects and more than 370 backgrounds and filters. These resources will help you in creating interesting and educating slides. 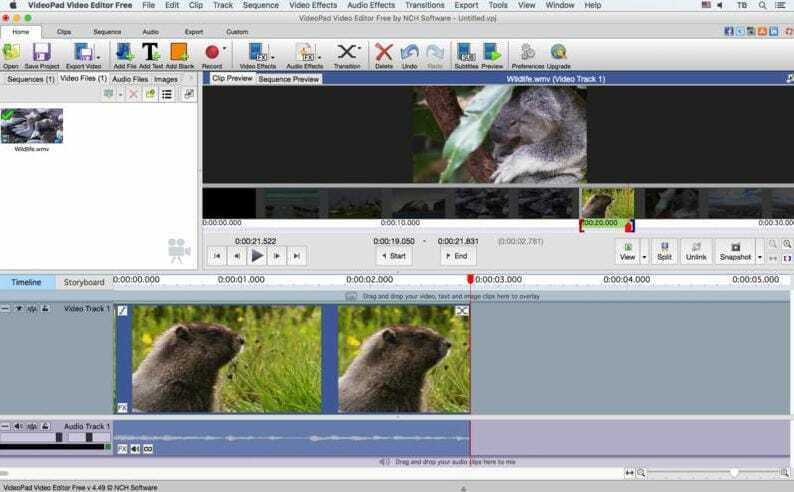 VideoPad Video Editor is a software designed to allow users to create slides, with tools it featyres. It has supports for video editing tools that allow users to create awesome and unique slides. It features a very simple and minimal interface, that ensures users do not encounter difficulty in making slides. It houses a drag and drop feature, that makes creating slides a lot faster. 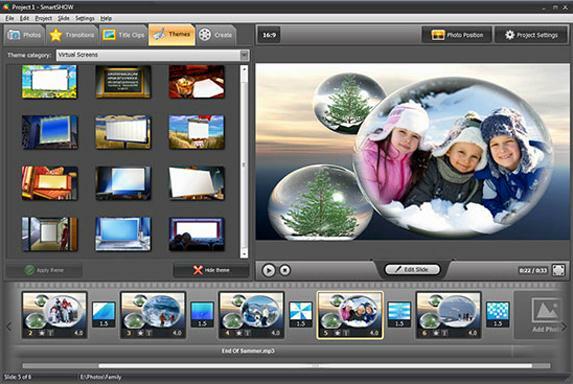 The Fotomagico 5 is a slideshow maker software, designed to help users create unique visual stories. Owing to it’s thought interface design, users can create unique slides seamlessly without stress. The Fotomagico 5 software lets users create slideshows using images, videos, text, and music. FotoMagico is only available for Macs. Muvee Reveal Express is yet another Mac exclusive slideshow maker software. 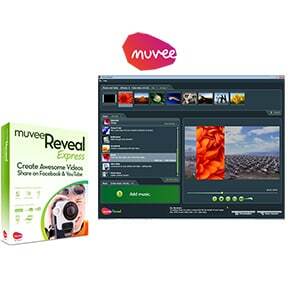 Muvee Reveal Express is a streamlined and easy to use slideshow maker tool. It lets users create interesting and educating slides seamlessly. It provides outstanding transition effects, lets users add soundtracks to slides and lots more. Muvee Reveal Express is only available for Macs. 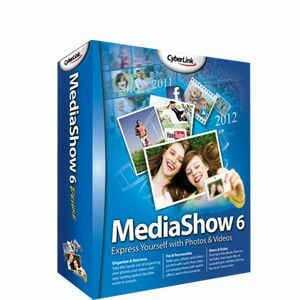 The Cyberlink Mediashow 6 software, is yet another awesome slideshow maker software, available on both MAC and Windows. Cyberlink MediaShow 6 houses tools that allow users to create awesome slides. Cyberlink MediaShow 6 lets users create slides in chronological order. It features a facial recognition tool, for identifying people in the slideshow. 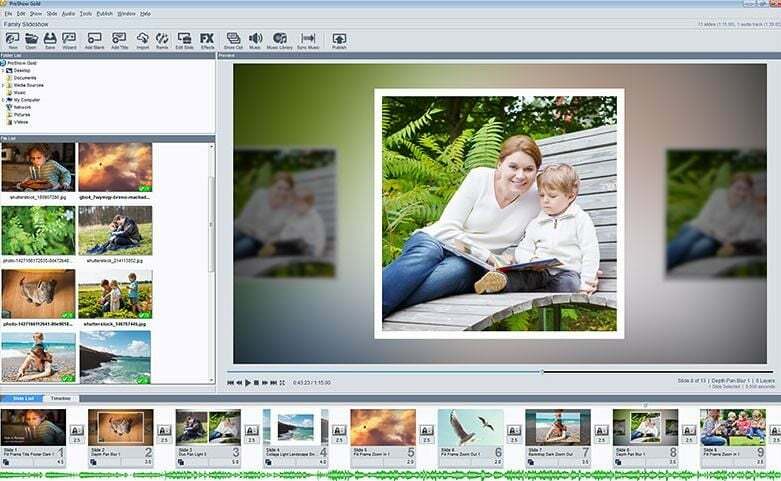 This software features photo editing options and allows users to import photos from anywhere. Still on the top of best slideshow maker software for Windows and MAC. DVD SlideShow Builder Dulexe is another awesome software that lets users create slideshow presentations on their computer. It features 480 transition effects, including 3D. It houses text effects that can be animated, has support for full HD input and output. This software has features that let you trim, enhance and apply effects to photos and videos to be used in making your slides. As its name depicts, the SmartShow slideshow maker software is a that allows users to create slides, slides that can be used for project presentations, entertainments purposes and lots more. It offers an intuitive interface, together with revolutionary tools that let users convert images on PC or camera into an exciting photo movie. ProShow Gold houses over 400 transition effects, lets users upload images for slides. ProShow Gold allows users to add music from CD plates or music folders. It also lets users sync voice recordings to slides. It features Animation effects for photos and features an inbuilt photo editing tool. 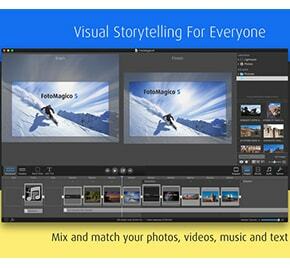 4K SlideShow Maker is yet another SlideShow maker software, exclusive on MAC. As its name depicts, this software allows users to create slides in 4k resolution. That’s its most prominent feature. Just like every slideshow maker should, this software has all the essentials needed to produce excellent slides. This software let users stack videos or pictures, or a combination of images and videos. Add transition effects to them, add music, altogether making an impressive slideshow presentation. Creating a list of best slideshow softwares, without making mention of Microsoft Powerpoint, would be inappropriate. 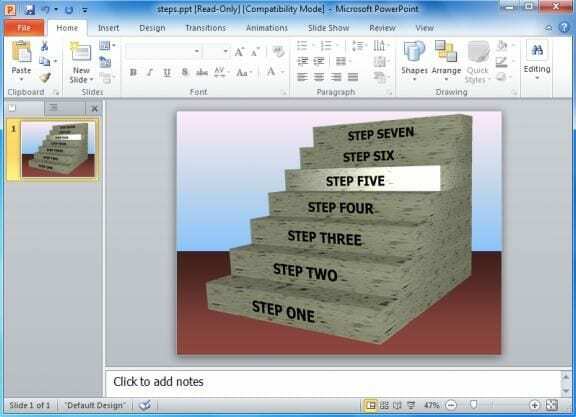 Microsoft powerpoint has been on top when it comes to slideshow maker software. It features the most advanced slideshow maker tools available. Its tools are tailored to meet the needs of both professionals and newbies. It is available on both Windows and MAC. Last but not least is the Bolide Slideshow creator. Tailored to meet your slideshow creation needs. Bolide slideshow lets users create great slides for free. It offers a very intuitive interface that makes the whole process of creating slides seamless. This software enables users to save slides in different formats and also lets users share their slides directly to social media. There you have it. 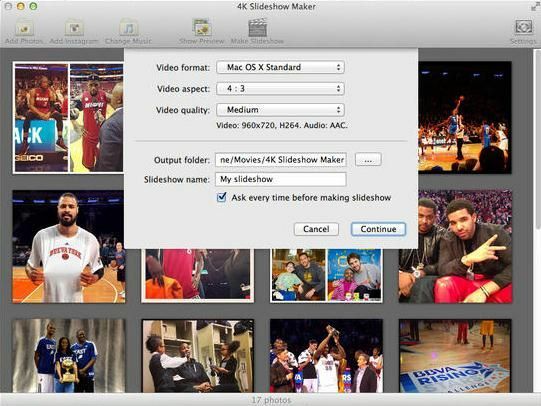 The best slideshow maker software for Windows and MAC. If you have other recommendations, do let us know in the comment section below.